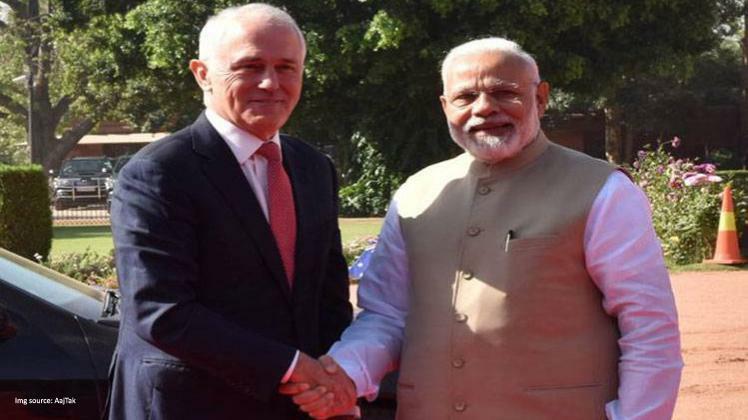 India and Australia today inked six pacts including one aimed at boosting counter-terrorism cooperation after talks between Prime Minister Narendra Modi and his Australian counterpart Malcolm Turnbull in New Delhi. The two leaders held comprehensive discussions on bilateral, regional and international issues of mutual interest and concern. At a joint press event with Turnbull, Modi said they reviewed the entire gamut of ties and took many "forward looking" decisions including one on early holding of the next round of talks on comprehensive economic cooperation agreement. Emphasising on peace and stability in the Indo-Pacific region, Modi said challenges like terrorism and cyber security require global strategy and solutions. The two sides inked a pact to boost counter-terrorism cooperation which was signed between the Ministry of Home Affairs and its counterpart Australian ministry. শক্তিমন্ত্রীয়ে পদত্যাগ কৰা নাই কিয়?